Several movies, television shows, and cartoons have been based on Tarzan of the Apes. Tarzan is Edgar Rice Burroughs’ best known and most enduring creation. The character’s name has entered the English language and is one of the world’s famous names – right up there with Elvis, Jesus, Coca Cola, Santa Claus, and Marilyn Monroe. Most of us are familiar with the American films. We all know Johnny Weissmuller, Maureen O’Sullivan, Gordon Scott, Elmo Lincoln, Buster Crabbe, and Jock Mahoney. We can name villains from the movies and are familiar with Boy and Cheetah. But, there’s more. At least fifty more films based on the character have been produced without permission and viewed by millions of people worldwide. 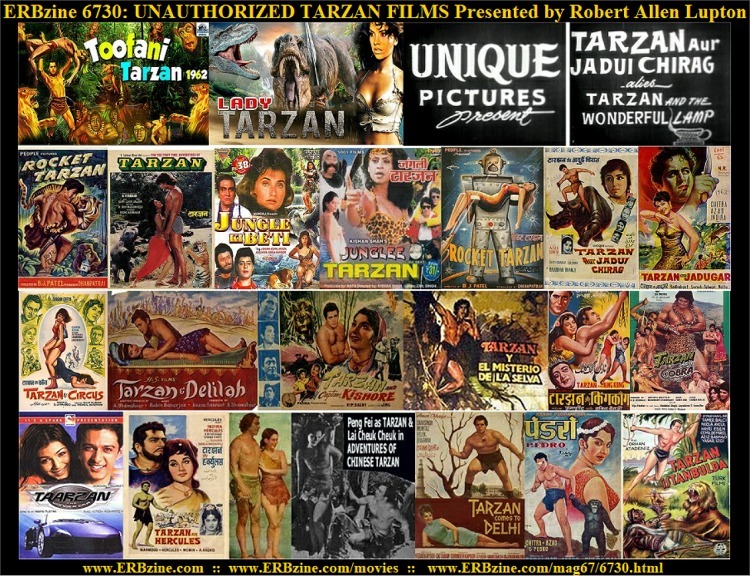 As long ago as 1938, unauthorized Tarzan films were produced in China, India, Spain, Italy, Turkey and other countries. This series will present and explore those films. Azan Arani was the world’s most prolific Tarzan actor. 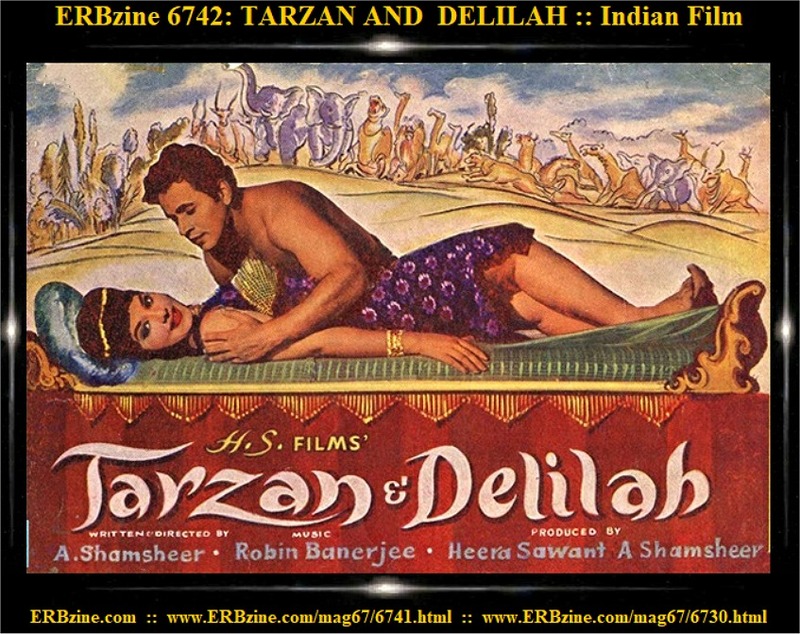 Dara Singh, world champion wrestler and Indian politician, was perhaps, Bollywood’s Tarzan the Best. Several women played Jane, or whatever Jane was called, in the movies and many of them went on to become famous movie stars in several countries. 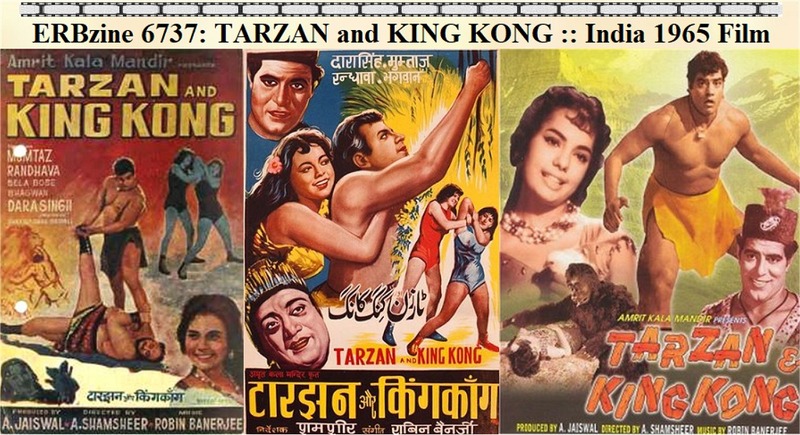 Raj Kapoor, Bollywood’s Charlie Chaplin, appeared in several Tarzan films, as did the immortal comic Tun Tun. Shakeela Bano Bhopal appeared in several of the films before she was killed in the United Carbide gas tragedy and Pedro, the chimp, rivaled Cheetah for endurance and popularity. The first Bollywood color film, Zimbo, starred the chimp. The series is a work in progress and will publish one or two articles a month on these movies. Once the films have been presented, it is the writer’s intention to publish as complete a list as possible and a second list of the actors and actresses who appeared in these films. So grab a vine and swing across the ocean. There are more jungles than are dreamt of in your filmographies.